Photography and videography have been revolutionized by the use of UAV Drones. The DJI Phantom Series is by far the most popular civilian drone and is revolutionizing an exciting new industry. These little quadcopters are affordable and easy to fly. In this fully comprehensive guide, Colin Smith coaches you through everything you need to know to fly precisely and safely. Learn Quadcopter basics and exercises designed to help you become a better pilot. In studio and on-location lessons will get you there in a clear and easy to understand way with stunning HD video. 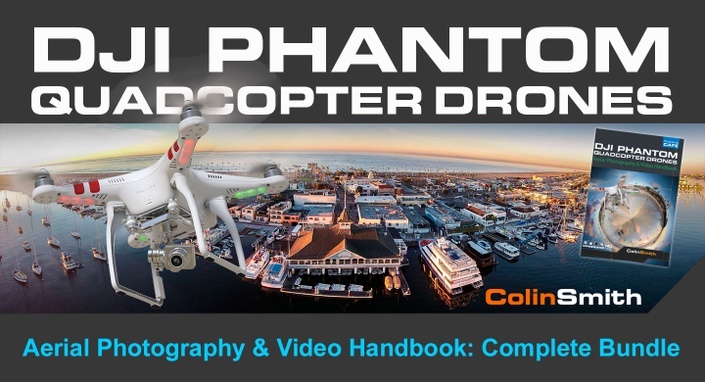 Learn how to fly correctly and shoot the best video and photographs. Learn how to edit photos, panoramas, HDR and video for the best results. Learn to work in Photoshop, Premiere Pro and GoPro studio, even if you have never edited video before. Colin Smith is a best-selling author, and award-winning digital artist who has caused a stir in the community with his stunning Photoshop work. 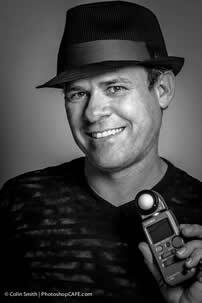 Colin is known as a pioneer of HDR photography and aerial drone photography. Colin is founder of one of the world's most popular Photoshop resource sites, PhotoshopCAFE.com, which boasts over 30 million visitors. He has been nominated 2x for the Photoshop Hall of Fame. With over 20 years of experience in the creative industry, Colin was formerly Senior Editor and Creative Director for VOICE magazine. As a commercial artist, his clients include Satcchi & Satcchi, Proctor & Gamble, Toyo Tires, Microsoft and several Hollywood entertainment companies. He is a regular columnist for Photoshop User magazine. He has been featured in most major imaging magazines including, Computer Arts, Macworld, Advanced Photoshop, Photoshop User, After Capture, PSD Photoshop, Photoshop Creative, Digital Photographer, Web Designer magazine and a host of others. Colin's digital imaging work has been recognized with numerous awards, including, MacWorld Digital Design and 3 Guru awards at Photoshop World 2001 and 2002. He's authored more than nineteen books on Photoshop, including the best-selling How to Do Everything with Photoshop (McGraw-Hill/Osborne) and award-winning Photoshop Most Wanted, as well as being pominentely featured in the Hall Of Fame book, New Masters Of Photoshop and New Masters of Photoshop 2 (The only artist featured in both editions). Colin is also creator of the PhotoshopCAFE series of videos (PhotoshopCAFE.com/video). He is in high demand across the United States as a lecturer, presenting his Photoshop techniques to Photographers and graphics professionals across the nation. He has been a speaker at such conferences as Adobe MAX, Photoshop World, WPPI, Imaging USA, PPE, creativeLIVE Photoshop week, Flash Forward, NVision, , PIDE, DL Expo, Creative Suite Conference, Cre8, Create Chaos, Deviant Art Summit and many more. In 2012 and 2013 Colin was the featured speaker and producer of 2 Multi-City Tours (Route CS6 and Destination CC) Sponsored by Adobe. Colin has consulted such companies as Adobe Systems, Edison International, Apple and Disney Studios.